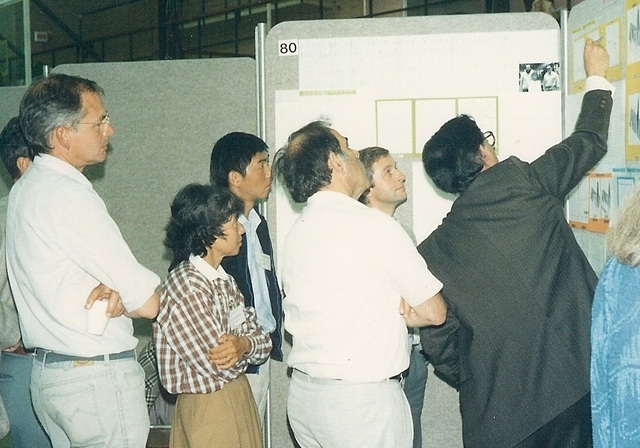 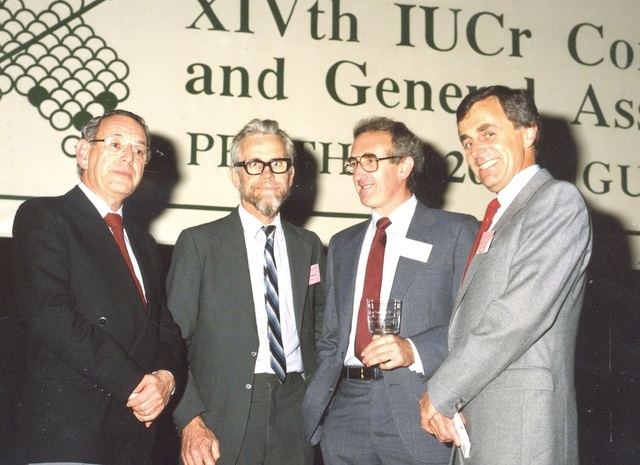 The Australian National Committee for Crystallography at a meeting in Melbourne in July 1987 as part of the preparation for the 1987 Congress in Perth: Syd Hall, Hans Freeman, Ted Maslen, Max Taylor, Trevor Hicks, Ian Grey. 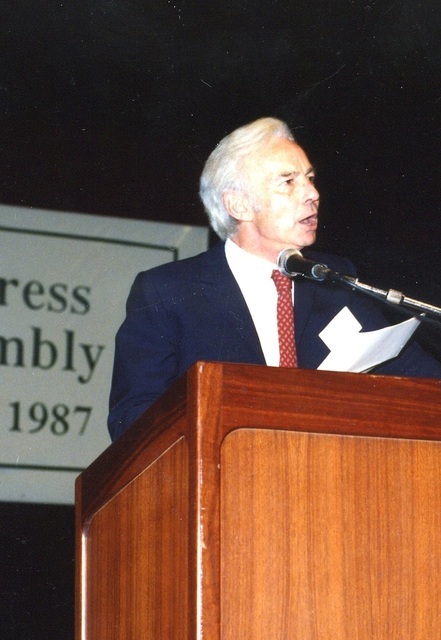 Syd Hall as Master of Ceremonies at the Opening Ceremony of the 1987 Perth Congress. 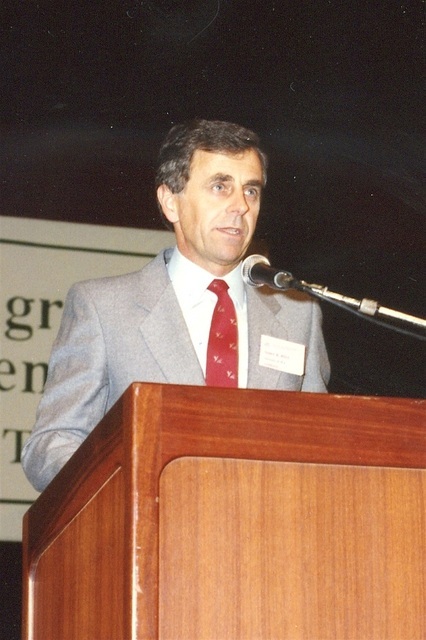 The Vice Chancellor of the University of Western Australia opening the 1987 Perth Congress. 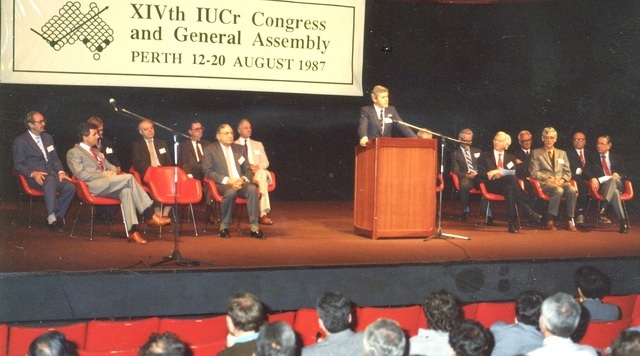 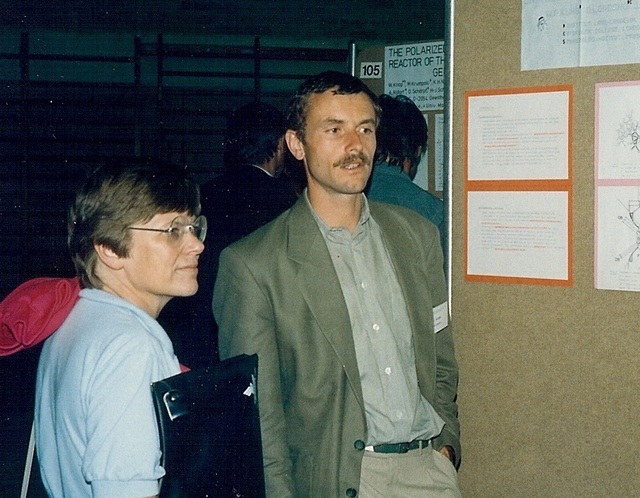 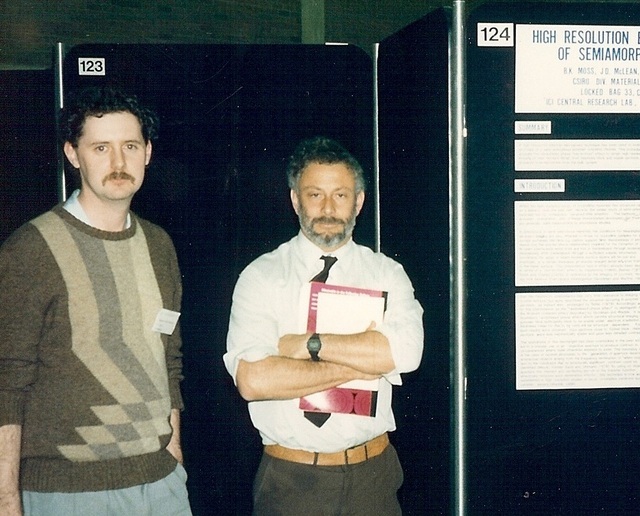 The President of the IUCr Theo Hahn speaking at the Opening of the 1987 Perth Congress. 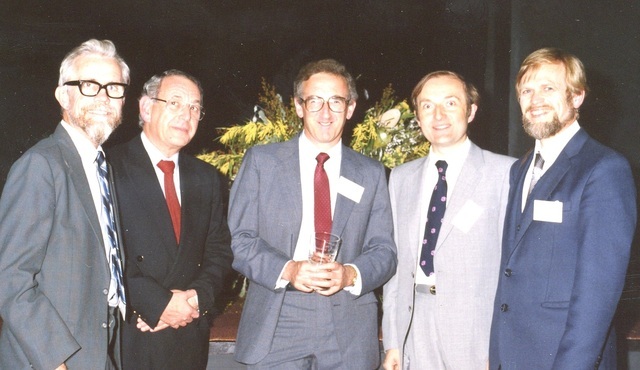 Vice-Chancellor of the University of Western Australia Robert Smith, Robert Diamond, Jerry Karle, Syd Hall. 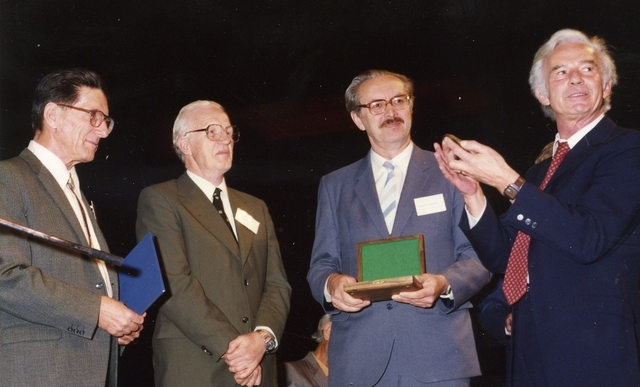 Presentation of the Ewald Prize to John Cowley and Alex Moodie at the Opening Ceremony at the 1987 Perth Congress: John Cowley, Alex Moodie, V. I. Simonov, Kaarle Kurki-Suonio, Theo Hahn. 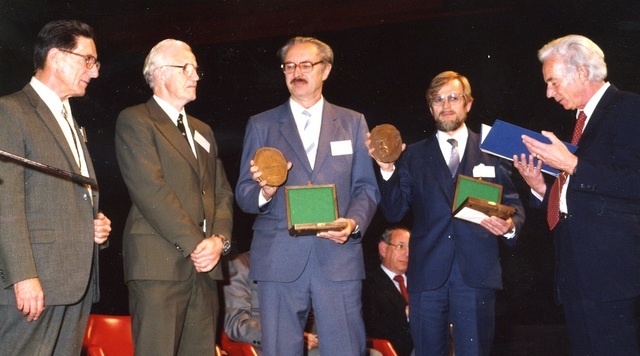 John Cowley, Alex Moodie, V. I. Simonov, Theo Hahn. 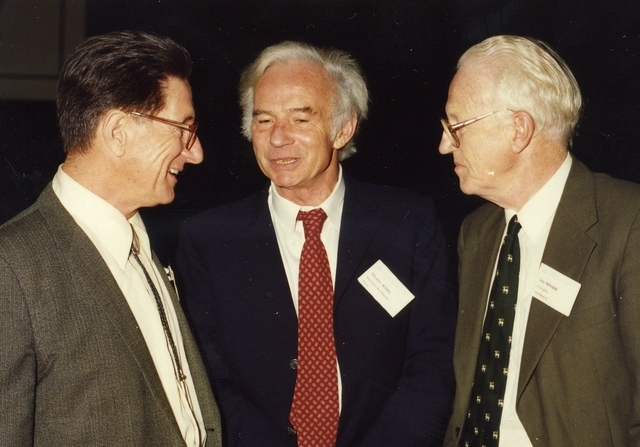 John Cowley, Theo Hahn, Alex Moodie. 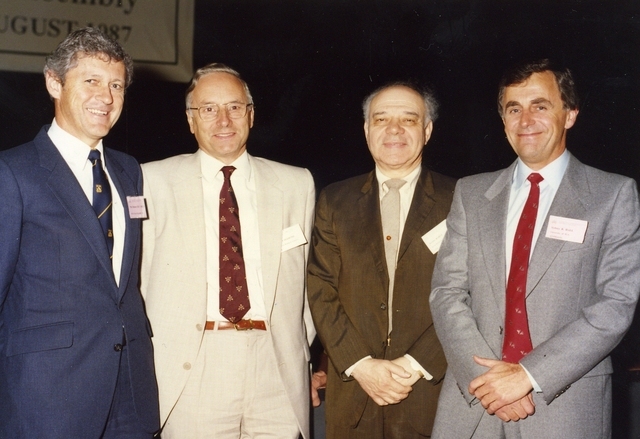 Standing: Alex Moodie, Ted Maslen, Theo Hahn, John M. Cowley. 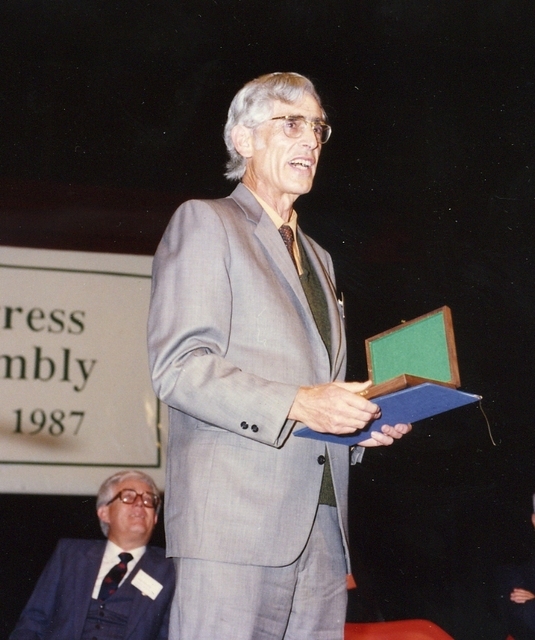 Seated: Alexander Mathieson. 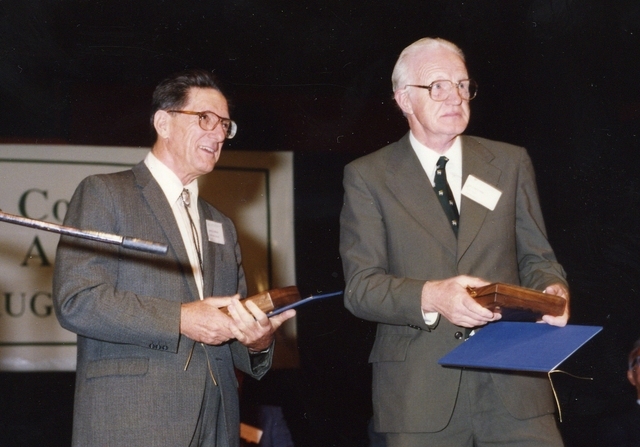 Opening ceremony, Perth Town Hall. 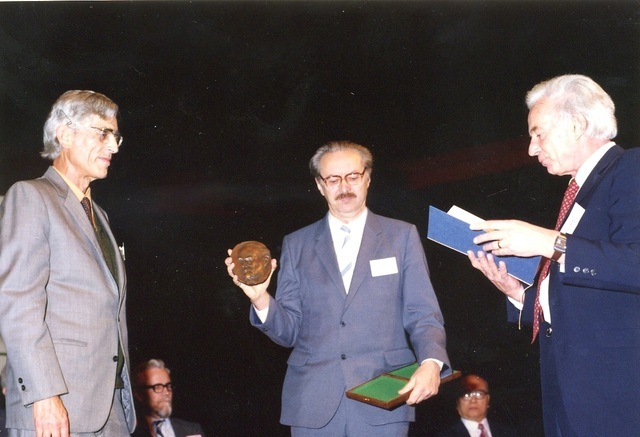 Peter Ewald (son of Paul Ewald) accepting a replica of the Ewald Prize medal at the opening ceremony of the 1987 Congress in Perth. 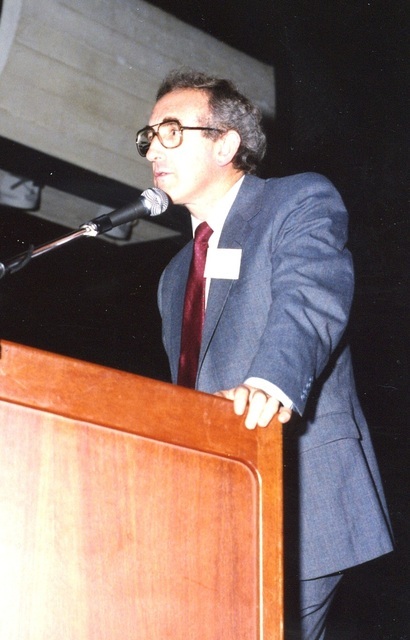 Brian Matthews giving Plenary Lecture at the opening ceremony of the 1987 Congress in Perth. 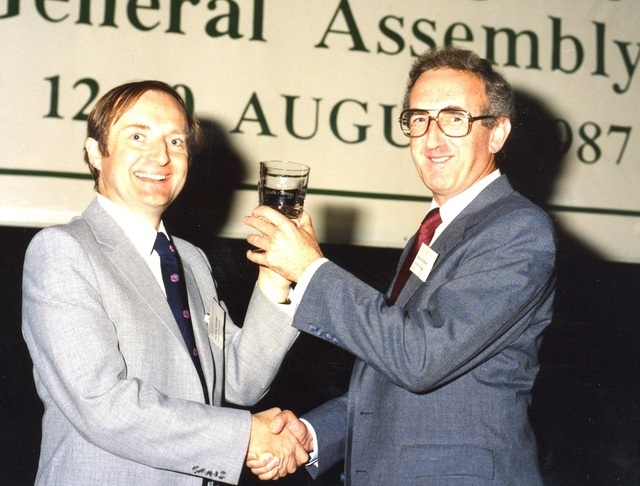 Moreton Moore presenting Brian Matthews with a memento for his Plenary Lecture at the opening ceremony of the 1987 Congress in Perth. 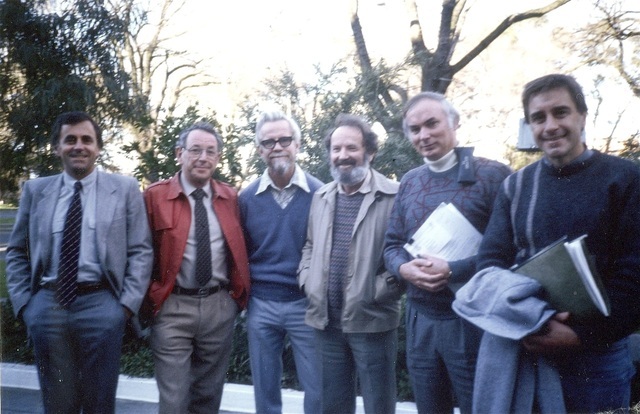 Hans Freeman, Ted Maslen, Brian Matthews, Syd Hall. 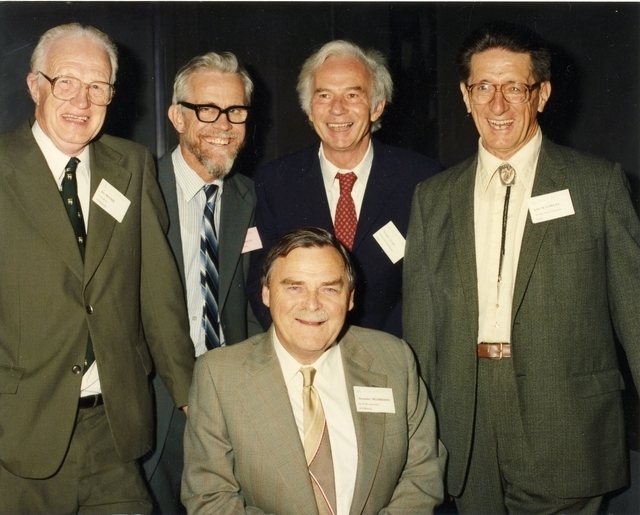 Ted Maslen, Hans Freeman, Brian Matthews, Moreton Moore, K. V. J. Kurki-Suonio. 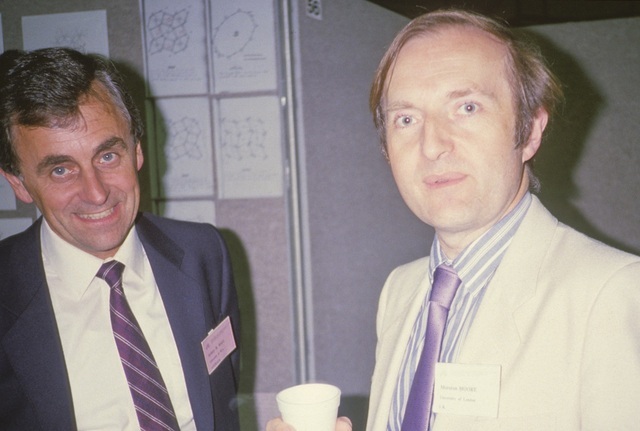 Jochen Schneider (left); J. M. Cowley (right).